The Global Diversity & Inclusion Benchmarks (GDIB) is an eighty (80) page guide book that helps organizations navigate the world of diversity and inclusion. Any company or institution can use the GDIB to measure the successful implementation of D&I practices. Additionally, they can use the GDIB to plan, mobilize and assess their D&I growth. The co-authors, Julie O’Mara and Alan Richter collaborated with 95 Expert Panelists in order to research and develop fourteen (14) categories. Each category has a corresponding action to consider and/or implement. Furthermore, each of these actions is further broken down into a series of benchmarks that can help the organization figure out where they stand and where they need to focus. In total, there are 266 benchmarks. Now, at first, that might seem like a lot of information but thanks to the new layout and organization of the GDIB, it really is quite manageable. The first twenty pages are filled with definitions, approaches, breakdowns and FAQ’s to help users understand the GDIB and how to use it. Then come the categories, actions and benchmarks. Each one color coded and numbered for easy reference. Once users dive in, they will soon start to see some of the challenges that people from other walks of life may face. More importantly, they will also begin to understand the steps they can take to better communicate with and make accommodations for others. The Global Diversity & Inclusion Benchmarks remains one of the most enlightening and meaningful projects of the OOPS portfolio. While we always aim to create fun and stylish designs, we are now cognizant of the need for accessible design and the fact that the two concepts are not polar opposites. This project was truly a growing process for both OOPS and the GDIB as we learned together how to apply the rules of accessibility for the legally blind, color blind, and more. 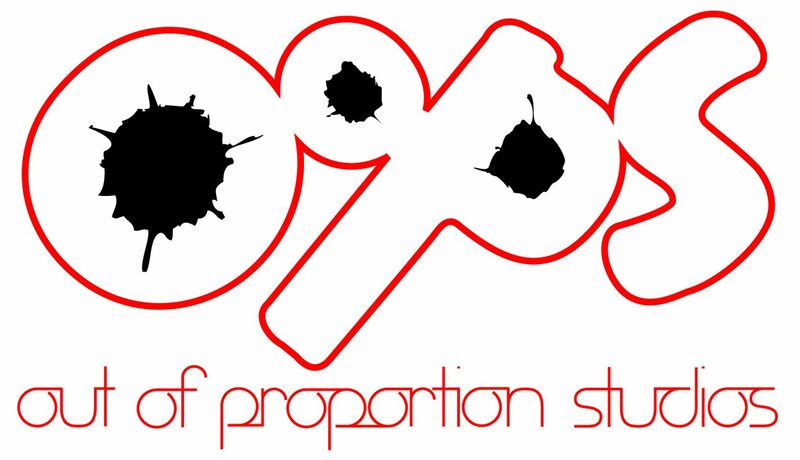 Out Of Proportion Studios will continue to study, develop and design as an example in an industry that is still learning. You may download a copy of the GDIB here. Our work with the Global Diversity & Inclusion Benchmarks (GDIB) remains one of the most enlightening and meaningful projects of the OOPS portfolio. While we aim to create a fun and stylish website, we are cognizant of the need for accessible design and the fact that the two concepts are not polar opposites. We have taken things such as font size, color and contrast into consideration and added this toolbar in hopes of filling the gaps in areas where we may have fallen short. Out Of Proportion Studios will continue to study, develop and design as an example in an industry that is still learning. If you have any thoughts or comments on the subject, please feel free to reach out via our contact page.